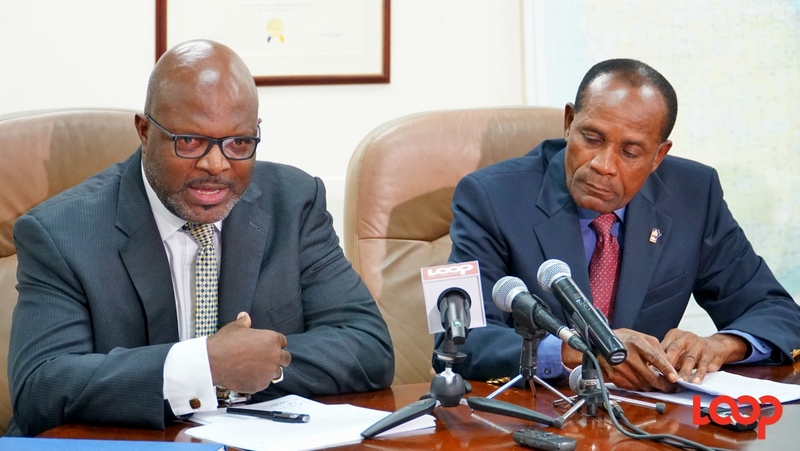 Captain Iv Vidos (left) and Minister of Tourism Richard Sealy during the exchange of plaques. Royal Caribbean’s Independence of the Seas made its inaugural visit to the shores of the island last Wednesday with Minister of Tourism, Richard Sealy, welcoming the Captain and the crew during an official ceremony at the Bridgetown Port. 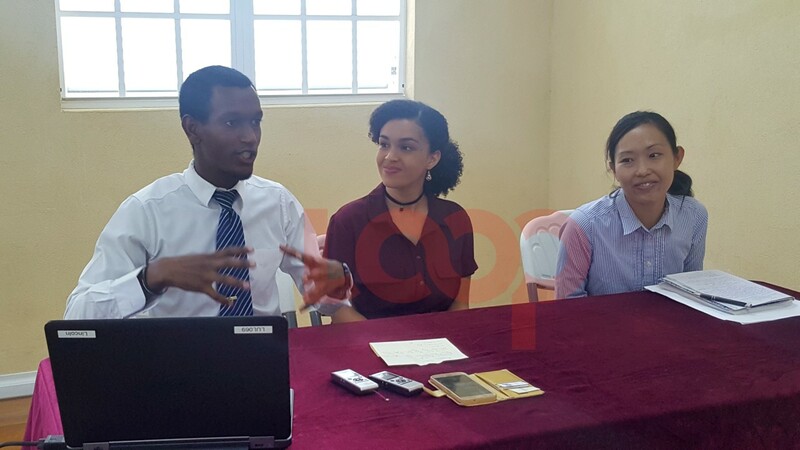 Barbados has had an active cruise season for 2017 and Sealy said it is expected to be another record year for arrivals. 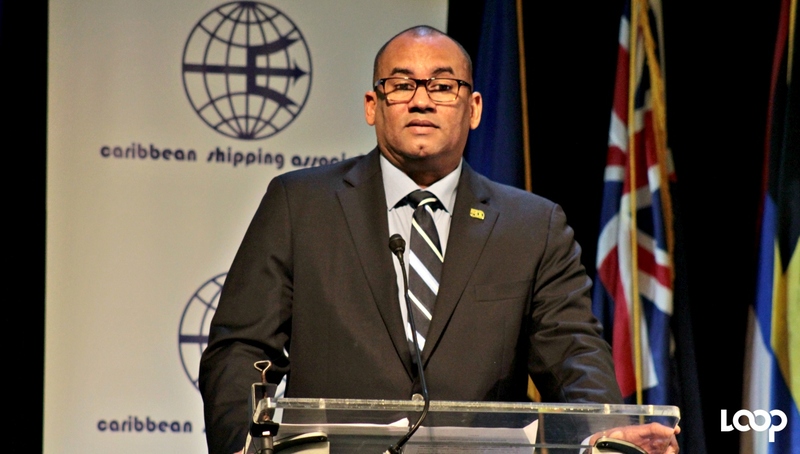 During the ceremony and plaque exchange, which was conducted on Deck 15, Minister Sealy said he was extremely delighted that the relationship between Royal Caribbean and Barbados Port Inc. continued to grow from strength to strength. 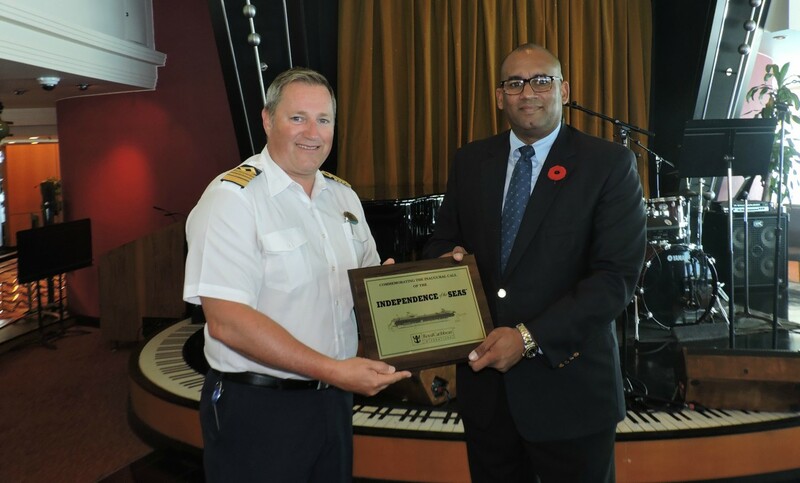 The ceremony was attended by the cruise ship’s captain, Captain lv Vidos, Chief Executive Officer of the Barbados Port Inc. (BPI), David Jean-Marie and BPI’s Divisional Manager, Corporate Development and Strategy, Captain Karl Branch along with other guests. Sealy also noted the alliance will certainly be of great benefit to the local cruise industry. Captain Iv Vidos expressed how pleased he was to be on island and commended the Bridgetown Port for the exceptional service it had provided. “We've come with approximately 4,000 guests and 1,430 crew members. It’s truly a pleasure for us to be responsible for bringing over 5000 persons to this beautiful island,” he said. Arriving last Wednesday morning from South Hampton in England, the 15-deck cruise ship was expected to make its way to Martinique last Thursday, then Fort Lauderdale on November 13. This luxurious ship, which has been in commission for 10 years, houses several boutiques, restaurants, spas, night clubs, sporting facilities, pools, bars and lounges.